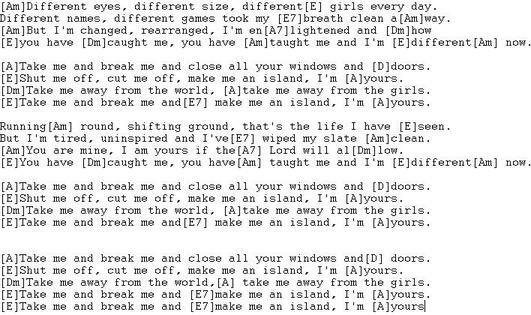 Make Me An Island Guitar Chords And Lyrics Joe Dolan in the key of A Major., written by Albert Hammond and Mike Hazlewood in 1969. Albert wrote several songs that Joe Dolan also recorded. Joe passed away 26 December 2007 but his band still preforms. There's No Show Like A Joe Show. Recorded by Nathan Carter in 2016 as a duet with Joe.